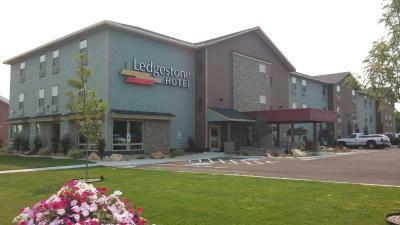 Lock in a great price for Ledgestone Hotel Vernal – rated 9.3 by recent guests! 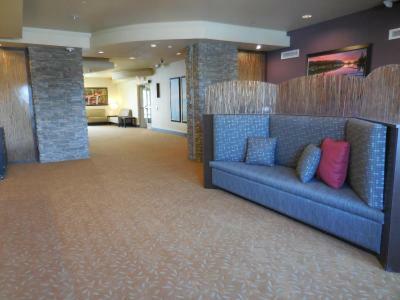 Everyone was friendly, professional, the place was very clean and the location was perfect. 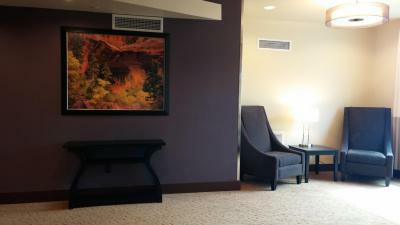 Our check-in experience was great!! 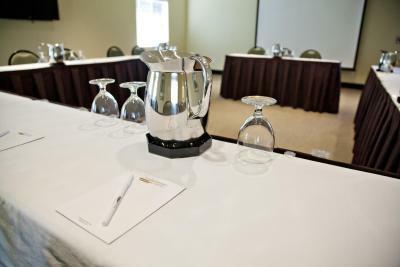 Staff was pleasant and had made sure our rooms were ready and in a great location. We needed a late check-out because of a wedding and they were very accommodating. We will be staying here again!!! What I liked about the property is that it is very well maintained and very clean. The front desk staff friendly and attentive. I absolutely love the oversized bathroom! I agree with a lot of the other reviews on this hotel. 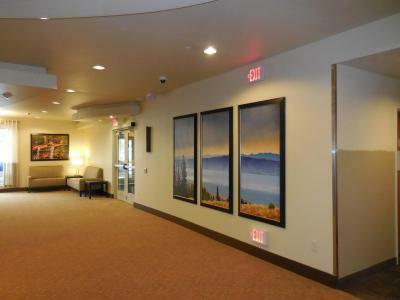 It is one of the cleanest places I have stayed and I have stayed in places all over the United States. My family and I will definitely be back for another stay! 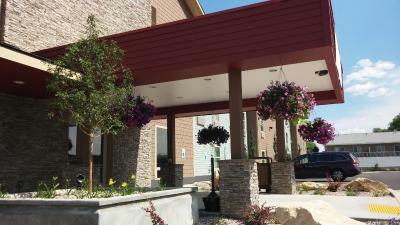 Vernal is a gateway town for visiting Dinosaur National Park and for this purpose this hotel was superb. The rooms were large and comfortable. 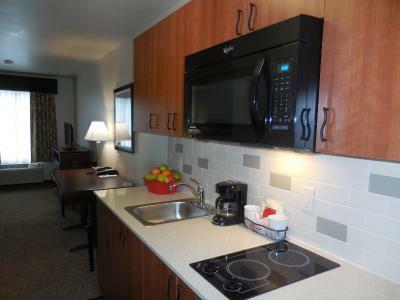 There was a small kitchen along with medium sized refrigerator, microwave, coffee-maker etc. Plenty of parking and good location. Highlight for us was the free, self-service laundry (bring your own detergent or buy it). Really quiet, clean and comfortable -full kitchen and LARGE refrigerator -yes- our milk and OJ & un-needed treats all fit without a battle! 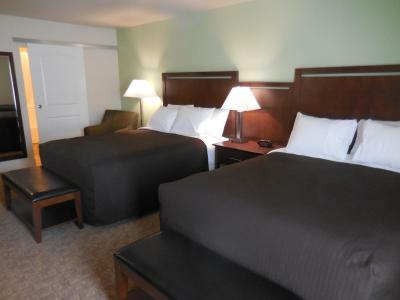 SO Comfortable bed -and super clean bathroom. Wish La Quinta would take the hint and get kitchens seamlessly added to rooms. And front desk folks were wonderful and helped us find a special spot just down the road for dinner- Vernal Brewery. The motel had to be the cleanest motel I have ever stayed in. It was very comfortable and was very close to the places we needed to go. I highly recommend this hotel. Very clean. Cleaner, in fact, than some 5 star vacation resorts we've stayed at. Nice little kitchenette with supplies and dishes. 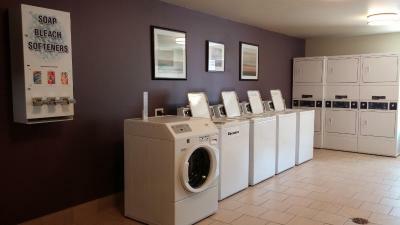 A large laundry facility with machines that were not even coin operated. 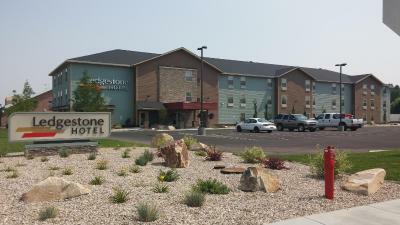 I would stay here again and highly recommend Ledgestone to travelers, especially families wanting to prepare their own meals or having an extended stay. 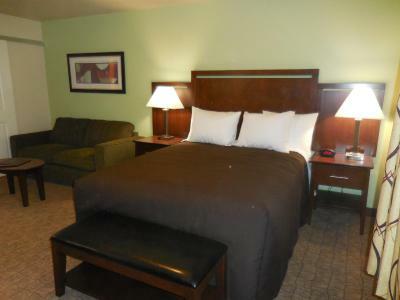 The hotel exceeded my expectations, very clean and comfortable at a very decent price. 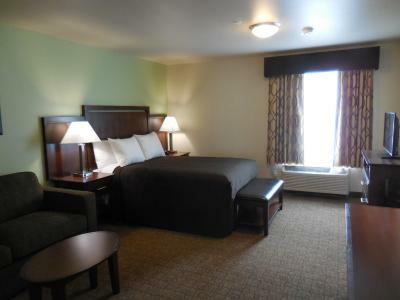 Large, comfortable, clean, well appointed room with a great layout. 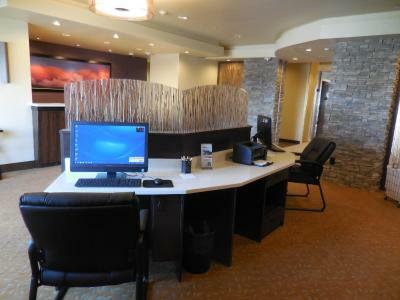 Very friendly front desk help. Easy walk to eat and grocery shop. Quiet even though it's on a main highway. 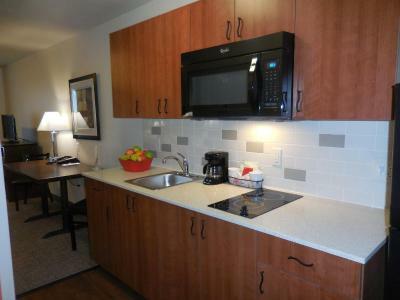 Nice to have a kitchenette to make breakfast. Everything was really well thought out. Super comfortable, great views, nicely put together. This place is nicer than my house! Staff were super friendly and helpful. 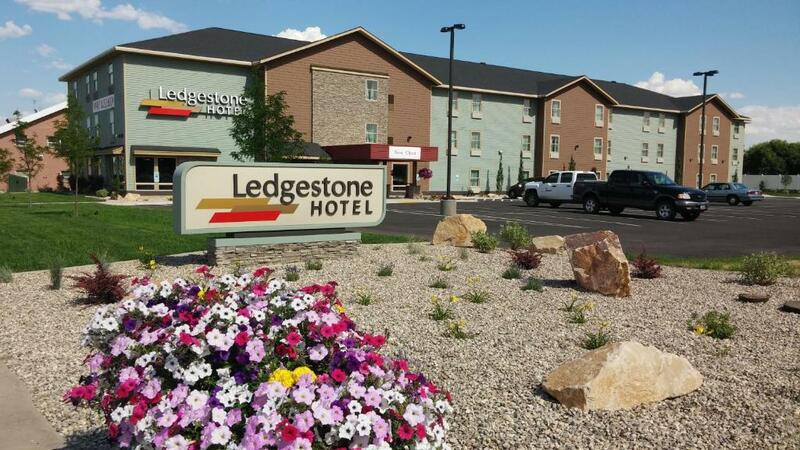 Ledgestone Hotel Vernal This rating is a reflection of how the property compares to the industry standard when it comes to price, facilities and services available. It's based on a self-evaluation by the property. Use this rating to help choose your stay! 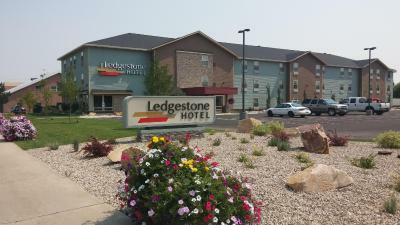 Ledgestone Hotel Vernal offers accommodations in Vernal. Free private parking is available on site. 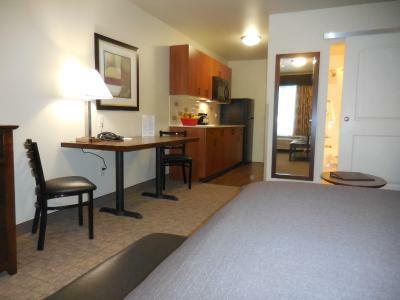 Every room is features a kitchenette and a flat-screen TV. 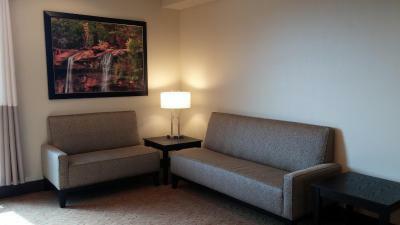 Certain units include a seating area where you can relax. You will find a coffee machine in the room. 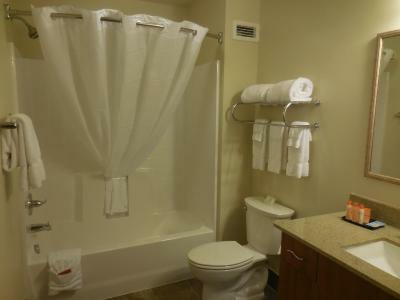 Rooms come with a private bathroom equipped with a bath. For your comfort, you will find free toiletries and a hair dryer. A TV is available. 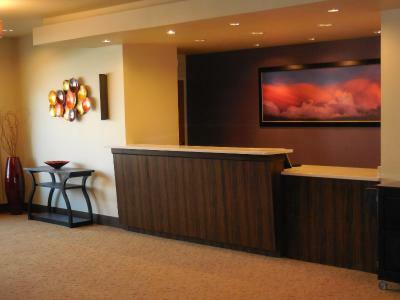 You will find a business center and a fitness center at the property. 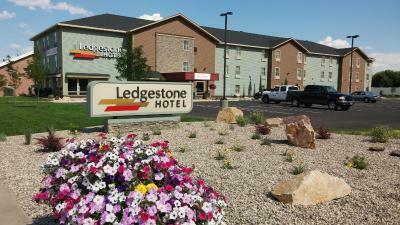 When would you like to stay at Ledgestone Hotel Vernal? This room has a sofa bed, a microwave and a small refrigerator. A stove top and kitchenware are also included. 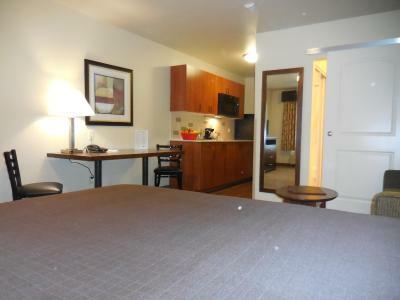 This double room has a stovetop, microwave and kitchenware. House Rules Ledgestone Hotel Vernal takes special requests – add in the next step! 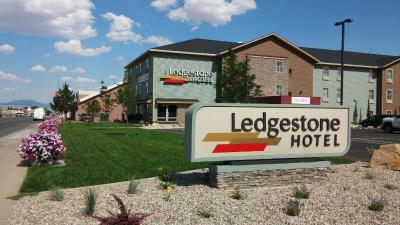 Ledgestone Hotel Vernal accepts these cards and reserves the right to temporarily hold an amount prior to arrival. Sliding barn style door for the bathroom. Full size fridge in the kitchenette. The tv’s could be a little bit bigger. No breakfast was included though there was coffee at the front desk. However with kitchen facilties and nearby grocery stores/eating places, this was a minor inconvenience. 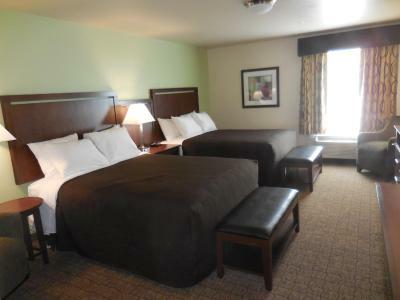 Convenient location on the main street, clean room, comfortable bed. Kitchenette in room. Had no idea how beautiful the Vernal area is -wish we had planned a couple of days instead of a quick overnighter. Nothing. It would be nice if there was a pool but it is not essential. 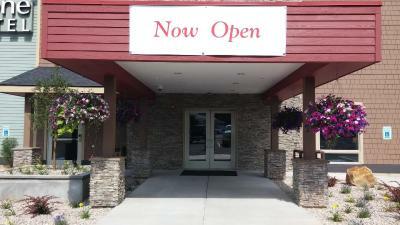 The staff, especially Anna, the general manager, and Shannon were extremely helpful and welcoming. 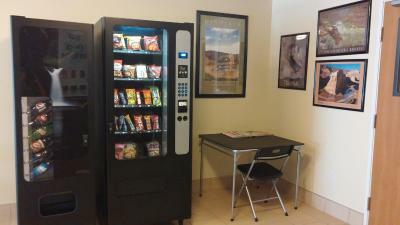 The kitchenette in the room is well equipped and good to have. Clean. Problem with TV immediately taken care of by awesome front desk person. The room was large and the kitchenette very practical and well supplied. The staff were very helpful. The location is very central and there is a supermarket nearby. Would definitely stay there again.